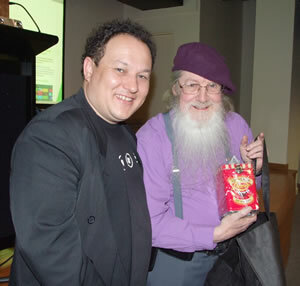 Tonight Alex introduced us to the Build conference for Windows 8 developers and programmers. 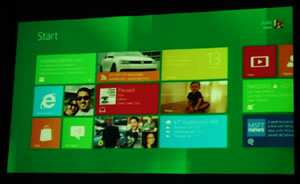 The conference held at Anaheim in September was designed to introduce software developers and programmers to Windows 8, and the new world of Windows Metro Applications or apps. Alex played part of the keynote address conducted by Steve Sinofsky the President of Windows and Windows Live Division of Microsoft. 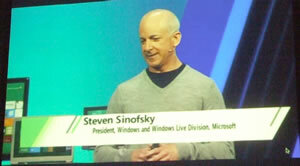 Steve began the conference by speaking about how Windows 8 was a complete re-imaging of the Windows system. 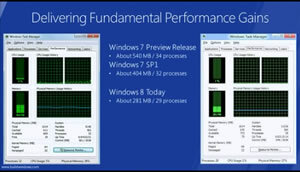 Regardless of the chipset used Windows 8 will run. It is designed to run in both X86 and Arm chipsets. Desktops, Laptops Touch pads and phones will all be running the same Windows OS kernel. 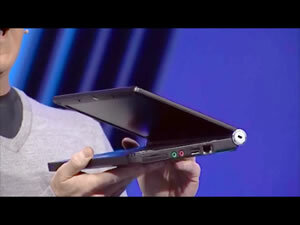 Steve showed the Lenovo netbook he used to demonstrate Windows 7 and the performance saving available with Windows 8. The video is about three hours long, so we didn’t see it all. 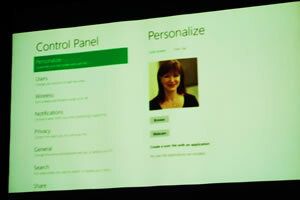 Alex highlighted the presentation by Julie Larson-Green of the Windows 8 interface. Julie started with the new touch login using a photo of her daughter with set touch points. Note the round dot where she touched the screen. You can also use a pin number. Once in, you see the standby screens with information about the machine and the personal information you chose to see such as new mail, weather etc. The start screen is completely different. The little button has gone and you now have tiles rather than icons of all the programs, sorry, they’re now called applications, or apps for short. 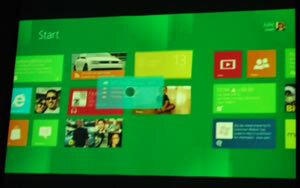 The Windows 8 start screen can be enlarged and scrolled and all the apps you asked for are on the screen. 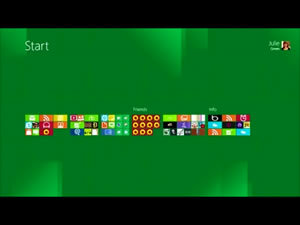 The titles are arranged by type such as Social networks, pictures and games. The screen can be enlarged to show all the groups. Julie demonstrated how the titles can be arranged to suit your needs. She then briefly showed how Windows could be personalised by going into control panel. 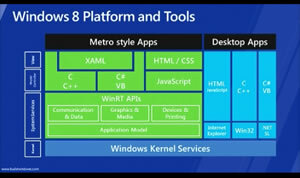 The applications for Windows 8, which they are calling “metro apps”, are designed to be completely interactive with any other app you may have on the machine. Here we see Julie running a news feed app. 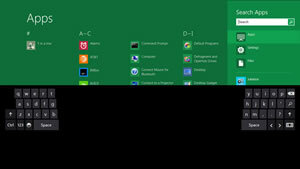 On the right side of the screen are the windows control icons called charms. 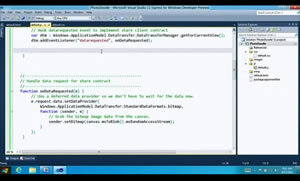 They enable quick control over the windows environment without leaving the news feed. 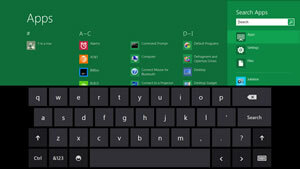 You can search, share, go to the start menu, see your devices and check your settings. 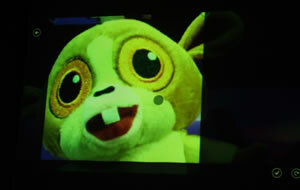 In the example Julie used she called up charms from inside the video she was running and adjusted the volume control without leaving the video application. 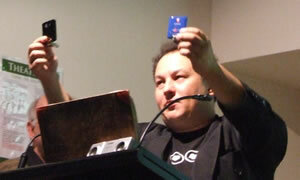 This keynote address included talks on hardware, the integration of Windows live and Windows 8, and, as it was a developers forum, a very informative demonstration of how to write applications for Windows 8.
produced a complete web drawing application in about 57 lines of code using basic HTML 5 coding. 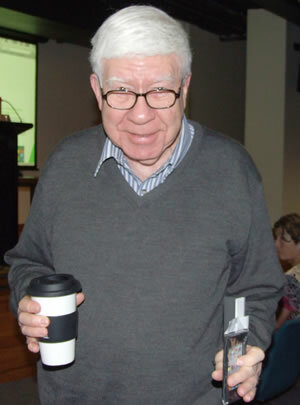 He used Visual Studio to show how developers can write applications using any program language all of which run as native Windows script under the Windows kernel. 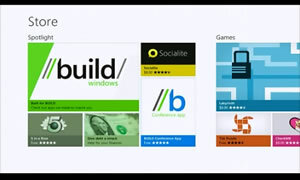 These Windows 8 apps will be available in a new Windows app store. 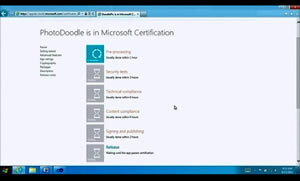 Once you have your design ready to go Visual Studio has a component to upload the app to the store and you can watch the certification process. Or a simple 64 or 32 bit iso of Windows 8 only is available. Before the break Alex also introduced us to the Telstra 4G modem. It’s the blue one on the right. 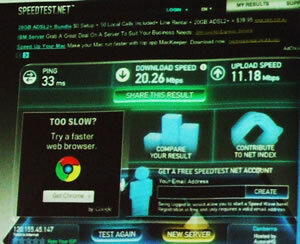 While it only delivered a 3g speed at the meeting, here is a speed test Alex made earlier. 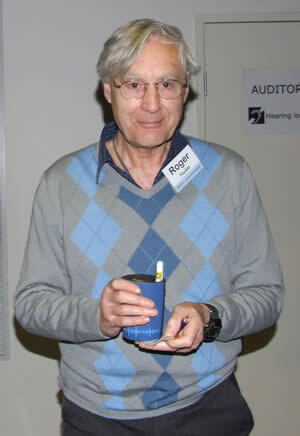 For the details go to Telstra bigpound wireless. 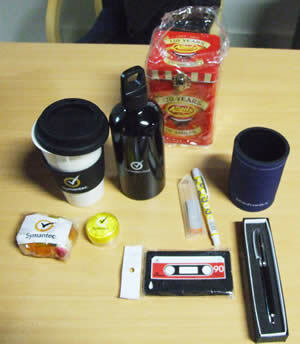 The door prize went to Barbara Ellis.